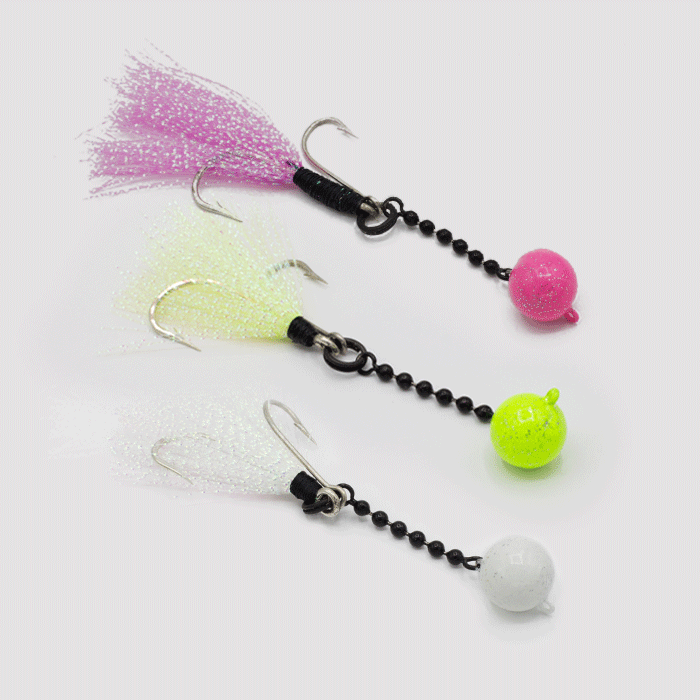 Catch more fish with the Nekid Ball Jigz! Catch Grouper, Snapper, Dorado, Amberjack and many more. 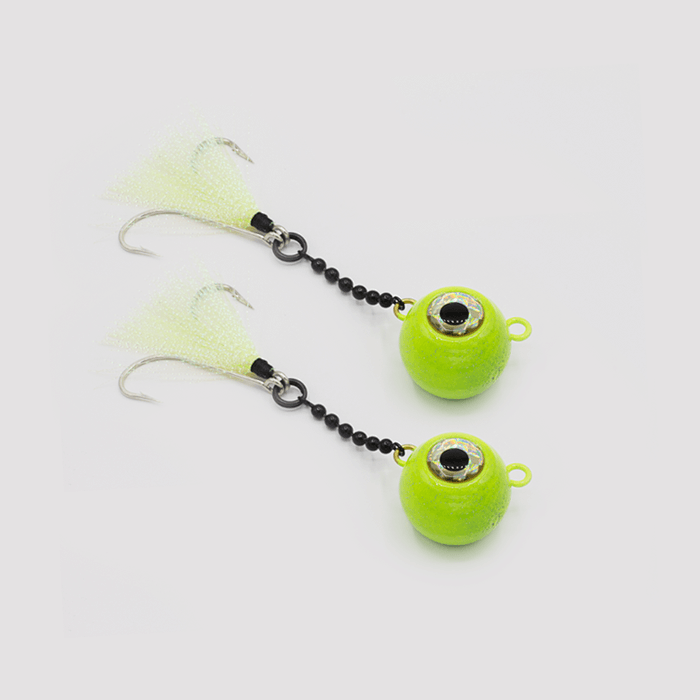 You’ll love the quick change components to target desired species as well as the glow hot colors great for late night or pre-dawn fishing. 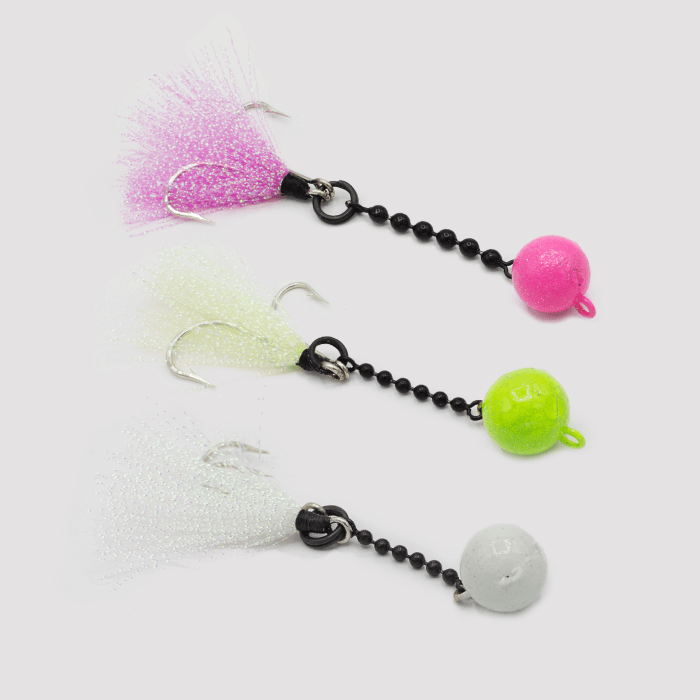 These lures create a unique wave pattern and 360-degree movement of hi Vis teaser and ball chain. You’ll also enjoy increased casting distances. 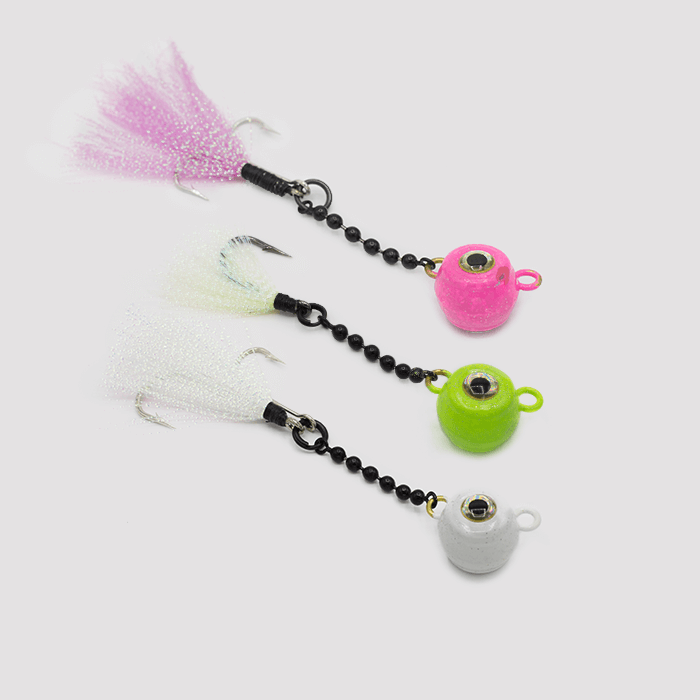 Nekid Ball Jigz is designed to catch many different inshore and offshore species. Catches Grouper, Snapper, Dorado, Amberjack & Many More! When fishing piers or from a boat, NBJ can be fished vertically. Just bounce off the bottom to create puffs of sand and attract attention to the wave like tail movements. 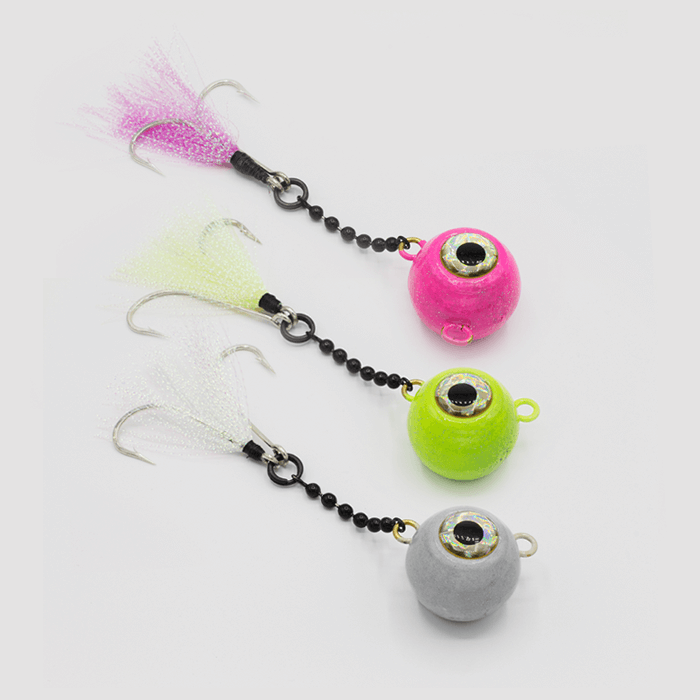 When working the lure, try more wrist and less forearm to impart the most action into NBJ. Also recommend using a loop knot to attach NBJ to fluorocarbon leader.